Wow – what a book!! It totally blew me away. I wasn’t sure what to expect, I knew the book was in the paranormal genre, and thought I recalled in being classed as romance too. I hoped so because I do love a good romantic angle in my reading. It begins with Maggi,e at home in what seems to be a small shack, with her brother and young sister. There’s a smell of burning and they realise that they have to run to safety before their home is burned, and not wait for their parents to return from the town. There’s mention of the family relic, a sort of mystical gem/fossil that has magical powers and Maggie takes it with them as its the family’s most precious possession. We learn a bit more about Maggies’ background and the Relics. The world it’s set in is a sort of 17-1800’s wild west type scenario, with Maggie and her family scraping a living from the land, and mention of the neighbouring Apache Indians. The relics are remnants of a time in history long gone, where magic and mystical creatures lived and roamed the earth. After the biblical flood they were all wiped out, and all that remains are bones that are ground and polished and carry residuals of the magic from the original creatures. This part was fascinating, Renee manages to weave it into what reads like a slice of history as we know it, but where everyone accepts that magic is real. There are books written about relics, their different types and purpose, and there are specialists who buy and sell them. The Relics command a high price and Maggies’ family paid dearly for their precious water relic, hoping it would enable them to keep growing things on their lands despite the droughts. Quickly the main people emerge in the story, Maggie and her little sister Ella, the Indian Yahn, Alvar, a rich landowner and Landon, the cowboy Maggie is very close to. Then there are her friends Moon John, relic specialist, and Adelaide, showgirl and reluctant whore at the Desert Rose, who befriends her when she works as barkeep/cleaner there. There are others of course, but these characters make up the bulk of the story. There’s magic in the way Renee weaves the legends about the Relics, the way they are mined and sought after, the way power and money control so much and cause such corruption in the search for more. We can’t work out who is good and who is bad, I kept thinking I’d grasped something, and then an incident would change my mind. 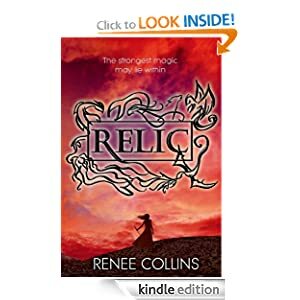 I loved the way Renee describes how the relics work, the horse with ties back to Pegasus, the fire, air and water Relics, the Goblin stones that allow people to move unseen. Then there’s the strange creatures, the Ghost coyote and the fierce poison spitting Rock Devils, and the banned shadow Relics which are used for eveil intents. There’s so much detail to take in throughout this book its one that I know I’ll enjoy even more on second reading. I just love the idea of these pieces of magic from history that are used in the present. The fairy dance at the Hacienda was wonderful, where the dancers were sprinkled with fairy dust which allowed them to float in the ballroom. The descriptions of the costumes too were wonderful, and all contrasting with the poverty in which Maggie and so many others were living in most of the time. Its like reading a slice of the wild west with the addition of magic turning reality as we know it into something entirely different. Of course as well as the way the relics are used for good magic, there’s the other side, the way its used for power and control, used to kill and hide evil doings. The book covers how its involved in the burning of not just Maggies’ home-town but other towns, the way the Indians are always an easy target to blame. Then throughout the story there’s the thread of potential romance for Maggie, but with Landon, Alvar or Yahn? Its a close run event and just when I think one is in the running for favourite, something happens to overturn that and leave it wide again. Its a wonderful story, lovely and long at 400 pages in paperback which means Renee really gets the chance to let us know the characters in some depth, their emotions and motives, and the constant struggle for Maggie of what is the right thing to do. Its a gem of a book, weaving history, reality and magic into a seamless blend of a magical, wondrous story that will remain with the reader long after its finished. One of my favourite types of books, the type where we really get to feel for the characters and even some of the “bad” ones have had excuses and motives for what they did. I loved it and that ending! Just superb, I really didn’t expect that. Its a book to read to escape into another world for a few hours. Its pretty clear the story of the Relics and Maggie can continue and I’d love to read more of them once its done. Stars: well, its a cracking magical story with that gentle thread of romance twisting throughout and for me its a five star gem. The Awakening: Liam. Abby Niles. I’d read and enjoyed the first in this series, Aiden’s story so was keen to review this one. We met Liam in the first book, where he was deep in a state of grief as his Mate had rejected him. It’s a lot to take on though as a human, being told your lover is really a shifter. Although we saw brief clips of Ava it was really just as part of the scene setting for Aidens story. This time Ava comes to the fore, and we learn more about her rejection of Liam. There’s kidnapping, escape and lots of very real danger to Ava, her young sister and to Liam, and the conundrum of how much the shifter officials can cover up from the human police as they strive to protect the secrets of their world. As more is revealed to Ava about shifters and the Mating bonds it also allows the reader to learn more about the world, the reason for some of the decisions and how difficult it is to integrate while keeping the secrecy so necessary. I really liked Ava once we knew her reasons, she loves Liam but needs to keep away from him. 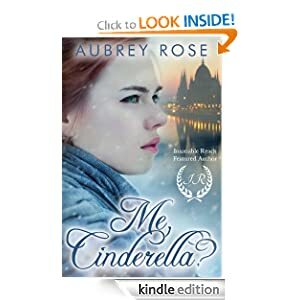 The more that is revealed the more she knows she needs to stay away, and she finds it a struggle having to lie to the police, her friends and family about the kidnapping in order to protect the shifters, and yet if she and her sister are ever to be out of danger she has to let them take control. Its a dead end so far though, tracing who is responsible, he clearly has a hatred of Liam and blames him for something, and yet no-one seems to know what it is he thinks Liam did. Ava can’t help wondering what happened, especially when she can see that the shifters, and Liam, are still keeping secrets from her. Its a great read, not too dark or deep but enough to keep the reader engrossed for a couple of hours. 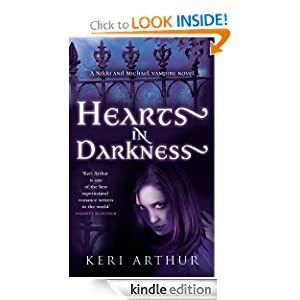 ( I am a quick reader though, s may take others longer) It links well with the first book, and I feel it’s the sort of series I will enjoy reading back to back in a “paranormal-fest” day. I love to read my way through different series once they’re all out, I can immerse myself into another world. Its easy to follow, you won’t need to read the first book, though of course that gives a deeper insight into the history. The biggest problem I had again, as with the first book, is the terms used, remembering exactly what each stage was. A glossary explaining that would be useful, as apart from a couple of obvious ones such as dserted they are such strange words. Priced at £1.89 for around 158 pages/253kb its good value. Stars: excellent read, five stars.